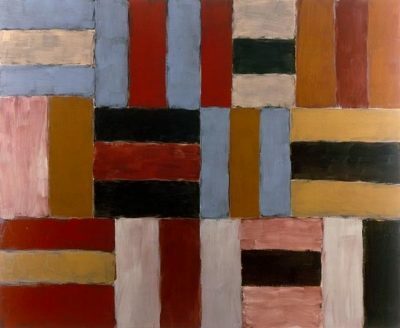 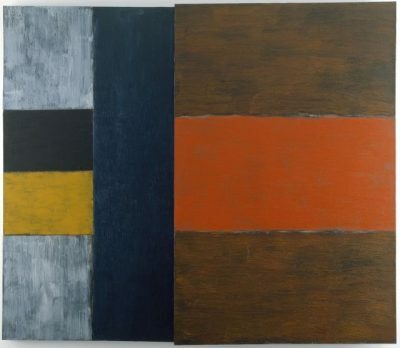 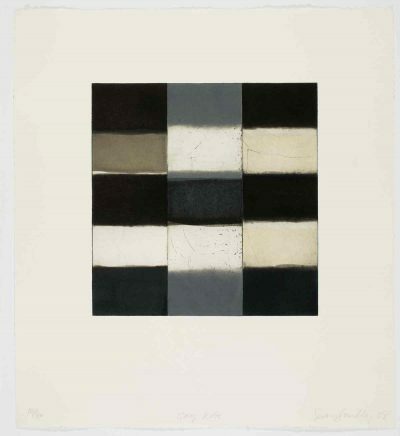 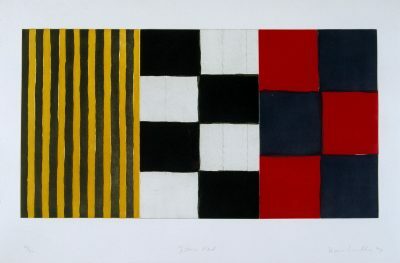 ‘7.7.91 For Robin Walker’ is a drawing in pastel in keeping with the robust quality of Sean Scully’s larger canvases. 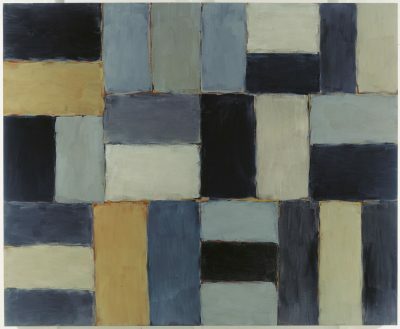 In this work the artist has built up a velvety texture, where layers of chalky pigment are roughly applied with softened edges revealing the paper underneath. 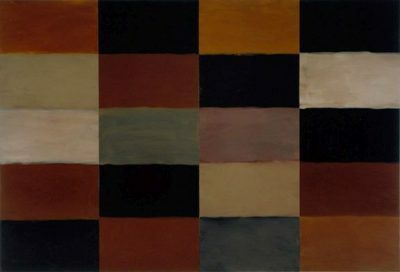 The tones of orange ochre, deep petrol blue, pinkish whites and charcoal create a soothing sense of order. 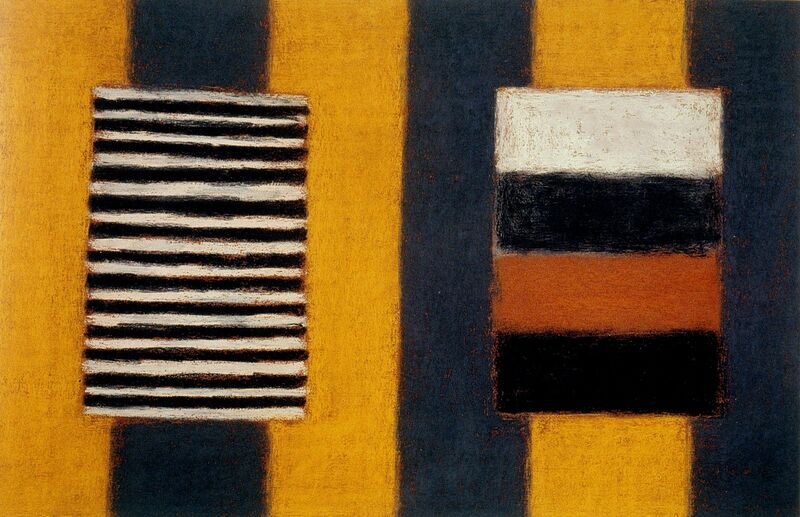 Scully’s vertical stripes inset with boxes of horizontal stripes nestle comfortably without appearing static.